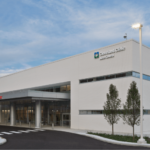 This project consisted of the expansion and renovation to the emergency department at Mercy Medical Center in Canton, Ohio. 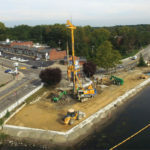 This job was a 3 phased project with miscellaneous sub phases mixed into the major phases. 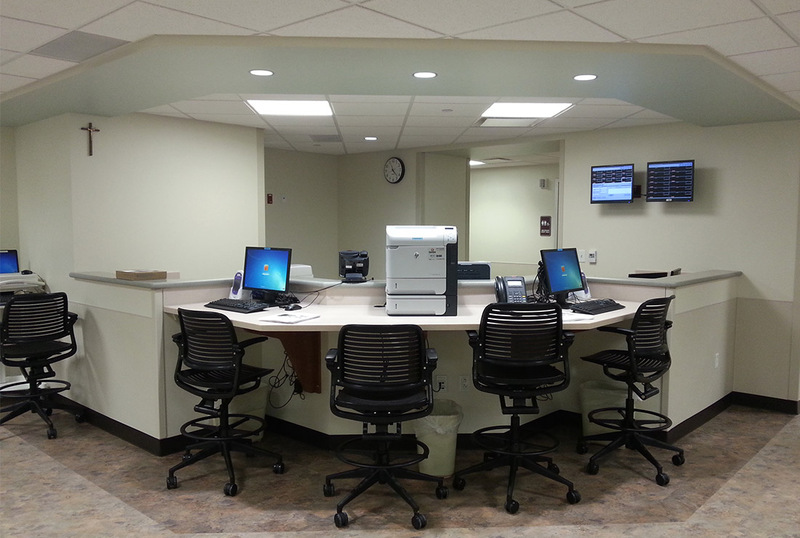 Phase 1 consisted of creating a new security office, a new main lobby for the hospital, a new admitting suite, and a new lab. Due to the original location of security it had to be relocated and updated to make room for Phase 2 work which included the new ED addition and waiting room. One of the major challenges was coordinating the transfer of all of the security camera equipment which required extensive rewiring and major rework of communications to relocate security. A new skylight was installed in the lobby by cutting a large opening into the existing concrete waffle roof deck. This was completed while maintaining the public’s access in many of these areas as they remained in service. 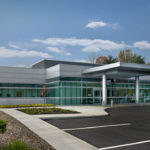 Phase 2 was the addition and renovation to the existing ED. The adjacent ambulance drop off area involved considerable coordination to maintain service. An entrance off Mercy Drive was created to allow temporary access which was eventually removed. There were also numerous challenges tying into the existing hospital in this area with the active ED just on the other side of the wall. New air handling units had extensive temporary duct work to serve the existing areas. 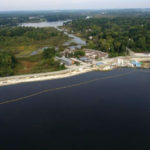 Other mechanical services and medical gases also required substantial coordination due to the phasing of the project. 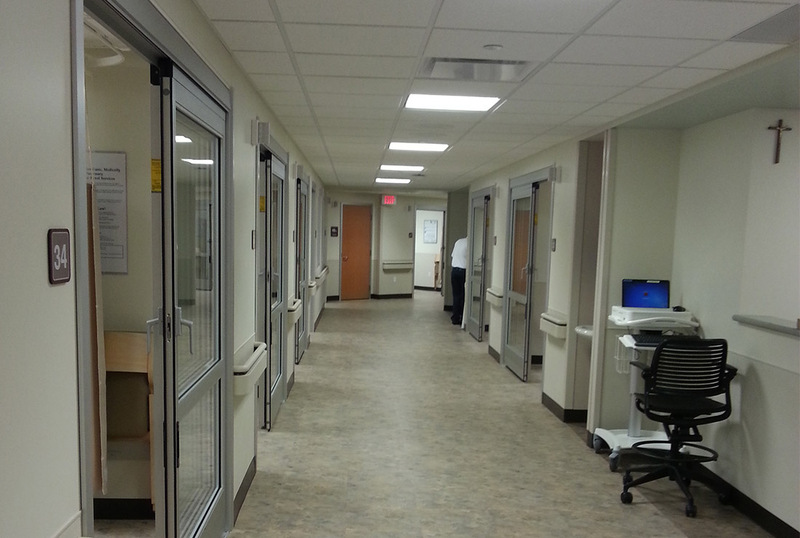 This addition has several triage and exam rooms along with a new waiting area for the ED. 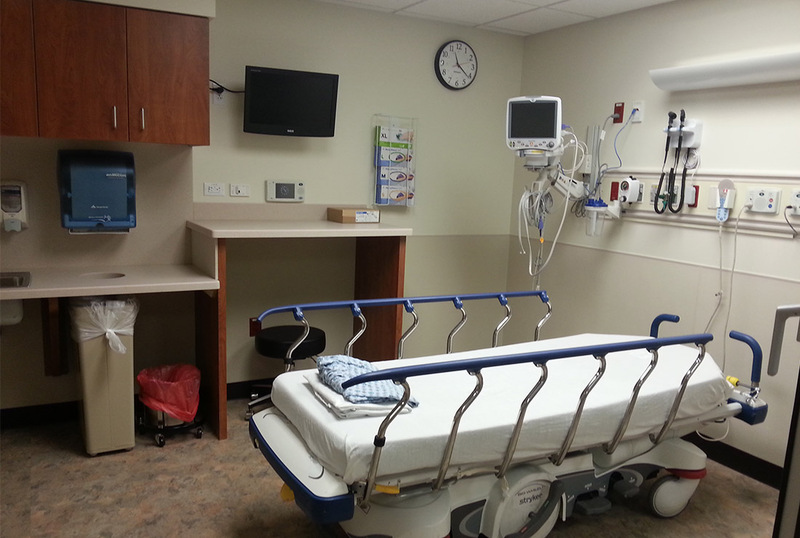 Once Phase 2 was operational, phase 3 completed the renovation of the new ED 3 area providing for new ED rooms, nurse stations, and support areas. 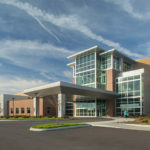 All work was completed within an active hospital and required extensive communication and coordination with the Mercy construction staff and staff members of the various departments being renovated.